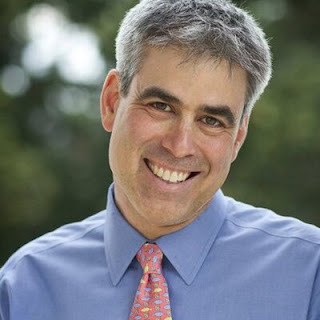 Should We Trust Jonathan Haidt's Moral Judgments? different cultures assign different weights to these dispositions, with traditional cultures emphasizing loyalty, authority and sanctity, and modern, educated, affluent cultures emphasizing equality and liberty. 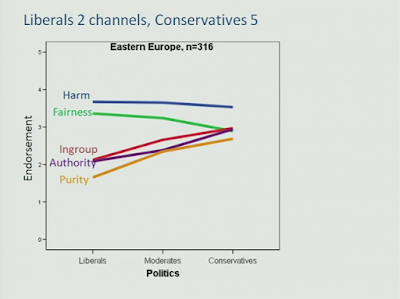 This theory was languishing in the starchy subject of cross-cultural psychology before Haidt brought popular light to it by arguing that the political division in our times between "liberals" and "conservatives" could also be explained in terms of the different emphasis these two groups assigned to these six moral dispositions. He observed that liberals tend to value caring for others, equality, and liberty/tolerance, while neglecting and even devaluing loyalty, authority, and sanctity, whereas conservatives tend to value all six foundations. I urge alt righters to employ these findings in their polemics. How can it not be satisfying telling self-righteous liberals that their moral kaleidoscope is half as good as that of conservatives, that conservatives do care about the suffering of others, value equality and individual freedom — without being traitors to their group, showing disrespect for their ancestors, and believing there is no hierarchy from the sacred to the profane? There is a deep seated flaw, however, in Haidt's theory, which critics have missed. The theory was conceived from a psychological perspective aimed at revealing the innate or natural moral foundations of humans without awareness of the immense uniqueness of Western culture. While it is true that Haidt formulated his theory through the study of moral behaviour in different cultural settings, and in this respect he recognizes the import of cultural differences, he neglects the way European peoples transformed altogether the meaning of these foundations, engendering the "liberal" values and redefining the "conservative" ones in ways unprecedented in the rest of the world's cultures. The way Haidt thinks about the liberal and conservatives traits resembles the distinction modernization theory made in the 1950s through the 1970s between the values of "traditional" and "modern" societies. I recall as an undergrad learning about typological tables neatly instructing that people living in "traditional cultures" tended to emphasize "collectivist" (in-group) values, "deferential stratification" or deference to authoritative figures, and unquestioned acceptance of "sacred" religious norms, whereas those living in "modern cultures" tended to value individual choice, "egalitarian" class relations, and universalistic norms, or caring for humans as humans regardless of religious, sexual, or ethnic groupings. One reason modernization theory eventually fizzled out was its erroneous prediction that the inhabitants of traditional societies could be transformed into modern characters with the diffusion of western technology and values. This did not happen; not only were many third world nations incapable of achieving autonomous industrial development, but the few successful ones did so without embracing Western individualism, egalitarianism, and universalistic morals. Samuel Huntington, once a believer in modernization theory, would voice this failure when he concluded in his book, The Clash of Civilizations (1996), that "modernization does not equal westernization." But how precisely does this relate to Haidt's theory about liberals and conservatives? In not making a clear distinction between modern and western cultures, and in thus identifying "liberals" as individuals with "modern" values, and conservatives as individuals with "traditional" values, Haidt fails to note that the distinctions he observes between liberals and conservatives can only be made among Western individuals. There are no conservatives outside the West who value equally the six "innate" moral dispositions. There are hardly any liberals outside the West who hold a universalistic ethics, or a concept of care beyond one's ingroup, who believe in the equal rights of all humans regardless of national borders, and who understand individual liberty in the way Westerners do. The conservatives outside the West — notwithstanding the diluting effects of globalization — tend to be traditional in ways that still reflect the durability of their pre-modern beliefs. The conservatives in the West are actually liberals, and the liberals are best described as cultural Marxists. Not only is Haidt relying on a dated modernization model, he is unaware of the dramatic changes the West has undergone since the heyday of modernization theory in the degree to which conservatives have become more liberal, and in the degree to which liberals can hardly be said to be interested in "liberty". The meanings of these innate moral traits have been deeply altered. It is quite misleading, therefore, to call them "innate" even though humans do have innate moral inclinations with certain cross-cultural aspects. What liberals in the West today reject as utterly immoral are ingroup behaviours by Whites, while they cherish, or at least "understand," non-White ethnic identity politics. Current liberals also exclude from their "universalistic" group anyone who objects to the reduction of Europeans to a minority in their own countries. Liberals believe that Whites who challenge mass immigration and racial miscegenation have no right to freedom of expression. Even conservatives in the West no longer believe in-group racial solidarity for Whites, though they appear to be more consistent in their emphasis on freedom of speech and their expectation, in tandem with modernization theory, that regardless of cultural and racial background anyone (barring a minority of Muslim radicals) can assimilate to Western individualism and dilute their ingroup tendencies and their "parochial" intolerance of diverse ideals of the sacred. On top of it all, Haidt, seemingly a conservative, looks and acts like a liberal, has the composure and mannerisms of a liberal. It goes deeper: Haidt welcomes a tolerant, pluralistic society, as these terms are now understood, that is, a Western society open to immigration and racial diversity. The social psychologist John Jost half detected this when he said that Haidt "mocks the liberal vision of a tolerant, pluralistic, civil society, but, ironically, this is precisely where he wants to end up." The basic message of his "look" is that liberals should not mock conservatives, but should form an alliance of moral foundations in order to defeat the enemies of globalism. European ethnic nationalists, the conservatives who are truly loyal to their heritage, the authority of ancestors, and unafraid to engage in open inquiry about the ways White nations are undergoing cultural and ethnic genocide, are the enemies of Haidt's out-look. This becomes all too clear in an article Haidt wrote last summer, When and Why Nationalism Beats Globalism, highly praised in conservative circles, and understandably so, for, on first reading, this article questions the easy dismissal of right wing nationalists as irrational xenophobes, and, beyond this, questions as well the standard liberal explanation that national populism is driven by "economic factors," the inability of less educated White members to compete with cheaper immigrant workers and the repatriation of jobs to the third world. Haidt thinks his moral theory provides better insights. He puts the onus on the upper and middle class beneficiaries of globalization for their celebration of cosmopolitanism and diversity in disregard of the sincere concerns lower class members have over the ways unrestricted immigration has threatened the integrity of their traditional communities. Populists are simply expressing an innate human need "to live in a stable and coherent moral order" threatened by globalization. They are more conservative in their moral outlook than liberals who only talk about "more open and tolerant" societies. Populists value loyalty to their local communities and their country's culture, and they have a stronger in-group identity. Most nationalists, Haidt observes, are not racists; they are "civic nationalists" attached to the values of their nation. They do not like they way elites have imposed cosmopolitan diversity upon them while paying scant attention to the ways lack of Muslim assimilation threatens the moral coherence of their nations. Haidt warns cosmopolitan elites that their one-sided promotion of liberal values is not easing the situation but is, instead, activating the more authoritarian tendencies among nationalists. . It is my view, however, that Haidt's trans-historical theory of moral foundations is incapable of grasping the new moral reality facing the West today. It is quite anachronistic and disingenuous to speak of the dangers of the "authoritarian personality," in the same way that modernization theory did in the 1950s, simply because European nationalists want an end to mass immigration. The so-called "extremist" or "far right" parties of Europe are more open minded in their critical thinking and in their platforms than our current liberal globalist establishment, which does not allow dissent on the supposed merits of diversity, and is deceptively manipulating the public to view their nations as "immigrant nations". It is all too evident that Haidt identifies personally with the globalists. Haidt always reserves the best words for the elites: freedom, autonomy, creativity, openness, tolerance, cosmopolitan sophistication, rational, educated, urbane. The words attached to the civic nationalists are "parochialism," "authority," "uniformity," "discipline." His ideas, his lectures, are always addressed to the globalists, aimed at improving their image, teaching them how to assimilate "conservative" moral insights, how to appeal to the emotional needs of the "less educated" White nationalists in order to "trick" them to sit at a table programmed for diversification. He says indeed that his article is intended as part of "a clear set of policy prescriptions for globalists." In calling for a "strong and successful assimilationist program" to counter nationalists, he is saying what conservative globalists say everyday. The values to which immigrants are expected to assimilate are liberal, including the "conservative" idea that all Western nations are alike in their endorsement of civic national values. Loyalty is to be played up only in reference to the current civic pro-diversity values of Western nations. "The globalists," he advises, "could easily speak, act, legislate in ways that drain passions and votes away from nationalist parties" by speaking of their globalist values as values inherent to the national identities of Europeans. Haidt is not even a civic nationalist; he is not for Marine Le Pen's moderate emphasis on France's revolutionary ideals of 1789, liberty, fraternity, and equality; he prefers the globalism of Macron coupled with some psychology sessions for nationalists to make them feel that their moral horizons have been included. I would rather emphasize the "purity" of alt right ideals against the profane contamination of this childish, deceptive, manipulative ad. The title says it all, "Worlds Apart | #OpenYourWorld." Why can't we all get along? Isn't Spike Lee marking the 25th anniversary of the 1992 Los Angeles riots with an hour-long Netflix special about Rodney King? This agenda can't be comprehended one bit with a static theory about some innate moral foundations. 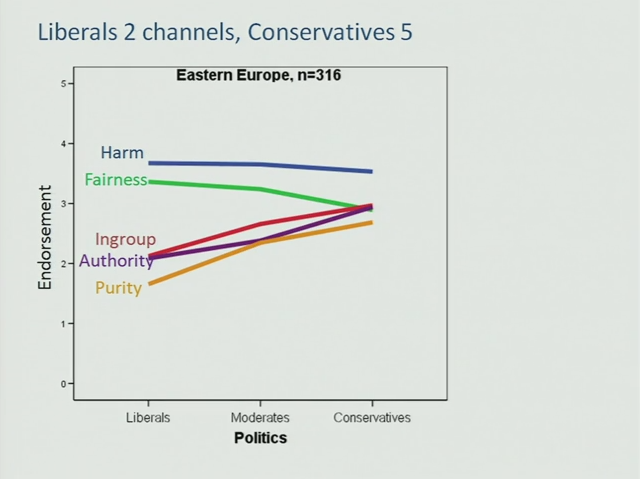 Haidt wants to teach globalists how to embrace the six moral foundations so they appear to be inclusive as they go about destroying the moral foundations of European peoples. Do not trust him.